We’re sad to announce that due to personal tragedies and health issues of our reviewers, we are closing Working Girl Reviews. We’ve tried to keep going, but circumstances beyond our control has made this impossible. We’d like to thank all our readers for visiting with us and hope you’ve found some wonderful books to enjoy. A big thanks to all the authors who so graciously donated books for us to read and review, and for coming in to guest blog or be interviewed. We wish all of you the very best with your writing and book sales. The site and reviews will remain here indefinitely, but no more reviews will be posted. The present contest that runs until July 10, 2010 is still on. The winner will receive an email with a list of books to choose from. Thank you all….from the girls at WGR. My second book is titled Sharp as a Tack or Scrambled Eggs Which Describes Your Brain? This book will help the coach potato in everyone and give you ways to keep your mind and body active and alert. WGR: You’ve been writing for a while now. Tell us what you like least about the writing process and what you like most. WGR: As well as being a writer and reviewer, you host a radio talk show. Please tell us more about that. Fran: I now host two radio shows. The first is Book Discussion With Fran Lewis, which is the third Wed. of every month at 1 Eastern on Red River Radio. Authors throughout the world, usually two on each show are featured. I read their books and create questions to ask them along with my book club members who have to read the books too. The author tells our listeners about his/her writing career, short bio, answers our questions and can promote their sites, next projects and tell us where we can purchase their books. Anyone who leaves a comment on our blog between now and July 10, 2010 will have an opportunity to win a free book of their choice from several we have on hand. So if you’re interested, just leave a comment on any post we add through July 10. Good luck! It started out so simply. 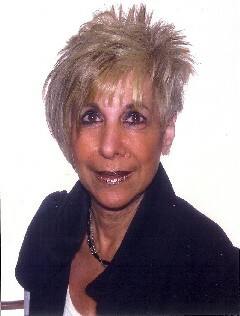 For my historical romance titled SONG OF SEDUCTION ( http://www.carrielofty.com/Song.html ), available on June 7 from Carina Press, I began with two musicians. He was a renowned composer and piano player with a dark secret. She was a violin virtuosos whose scandalous birth compelled her to hide her talent. Where in the world should such a story be set? 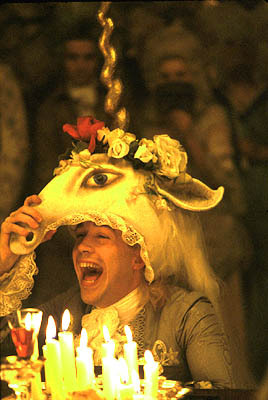 I’ve been a fan of the 1984 masterpiece Amadeus for such a long time. Greed, jealousy, brilliance–all there. Tom Hulce’s unmistakable laugh. F. Murray Abraham’s painful-to-watch despair. Throw in costumes and gorgeous sets and Mozart’s incredible, undeniable music, and you have one of my favorite movies of all time. 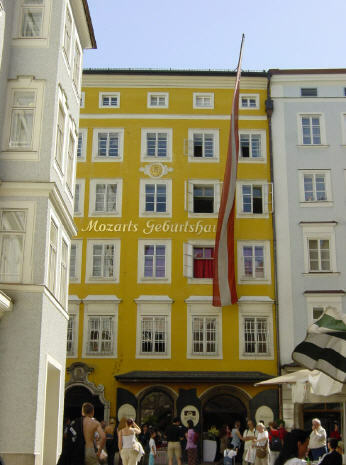 Perhaps it was no surprise, then, that I chose Mozart’s birthplace of Salzburg, Austria, for SONG OF SEDUCTION’s setting. Part of the appeal had to be how completely unknown Salzburg was to me at the time. Beyond that tidbit about Mozart, I knew nothing else. I’d just come off about 15 years studying the American Old West, which had culminated in my master’s thesis on Jesse James and Wild Bill Hickok. To say I needed a change of pace is an understatement. The more I learned, the more I became enamored of this faraway city. Its customs and people were so very different from the rough-n-ready frontier towns I’d studied for years. Salzburg had history going back to Roman times. It had culture and art and war and a tremendous sense of independence. And of course it remains a simply gorgeous city. But to find the right publisher to take a chance on Austria…that took a little while. 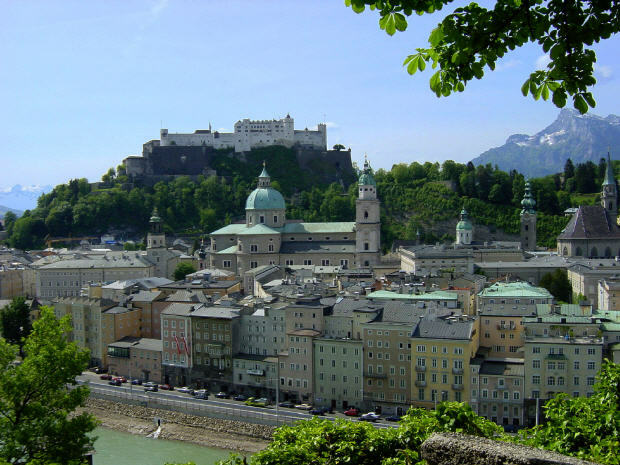 While many editors agreed that the story was worth publishing, they didn’t necessarily share my faith in the idea that readers would grow to love Salzburg too. Some suggested that they’d take a second look if I changed the book’s setting to England, a suggestion that made my heart sick. To my thinking, such a drastic change would’ve sucked all the personality out of it. Hmmm…so what’s a girl to do? 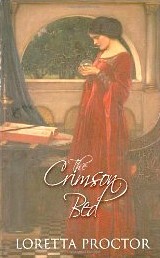 I trunked SONG OF SEDUCTION and moved on to other projects, such as my medieval adventure romances from Kensington. But then came Carina Press, “where no great story goes untold.” The rest, as I frequently think, is history! Knowing what I know now, I might think twice about setting a romance in Austria. But then I’d proceed along on my merry way and write it how anyhow. I’m stubborn, maybe, but I’m also having a great time indulging in the whims of my imagination. If you could read a romance novel set in any time or place–someplace daring and unconventional–where and when would it be? It’s time!!! Author Maria E. Schneider has announced the sequel to Executive Lunch–but Executive Retention needs a cover! Executive Retention is the second book in the Sedona O’Hala series. Three covers are available over at www.BearMountainBooks.com Stop over and vote for your favorite cover. After solving one case of corporate crime, Sedona expected to get her peaceful life back. Problem: She is still a manager at Strandfrost, and there is still rampant jealousy over her promotion. Is the danger of being railroaded by her not-so-illustrious colleagues worse than taking a new undercover job from Steve Huntington? Crooks are coming out of the woodwork and family troubles are stewing. Sedona needs to keep her sanity intact, piece together mismatched clues and dodge more than one stray bullet. If she can manage all of that, maybe she’ll have time to figure out whether her love life stands a chance. Executive Retention will be available in ebook form on Amazon on or around June 23, 2010. It will be available at Smashwords.com in formats for other readers and then available at B&N, Sony, Kobobooks and Apple iStore soon after. Review and early copies are available exclusively via Smashwords.com. Excerpts are available at the author’s blog: www.BearMountainBooks.com. Stop by www.BearMountainBooks.com and help choose the cover for Executive Retention!